Ned’s Head, a recent documentary following the Victorian Institute of Forensic Medicine investigation into what was believed to be Ned Kelly’s skull, has revealed it was not Ned’s but possibly that of notorious serial killer Frederick Deeming. But who was Deeming? Frederick Bailey Deeming, born in England in 1853, was a petty fraudster, thief and serial bigamist. He led a wandering life between England, Australia, South Africa and South America, constantly changing names and identities. He was also a murderer, having buried his first wife and four children beneath the floor of a rented house in England, and disposing of a second ‘wife’ in Melbourne in the same fashion. When Deeming came to trial in Melbourne in 1892, the public outcry was immense. Deeming’s notoriety was second only to that of the bushranger Ned Kelly, but while there was considerable support for Kelly in some quarters, Deeming’s horrific crimes made him universally loathed. He had committed his murders without apparent motive, and never displayed the slightest remorse. The unprecedented role of the popular media in inciting hysteria against Deeming also raised the serious question of how he – or anyone – could receive a fair trial, by an unprejudiced jury, in such circumstances. The public could not get enough of Deeming: postcards suggested he was Jack the Ripper, and cheap pamphlets with lurid covers proclaimed him the ‘Criminal of the century’. Copies of his portrait sold like swapcards. A play based on his crimes was presented on the Melbourne stage even before his trial began. In court, Deeming was represented by the brilliant young Alfred Deakin, who would later guide Australia to Federation in 1901. Deakin pleaded for an adjournment of the trial, to allow the popular hysteria to die down, but this was denied. In court, he strenuously argued the defence of insanity for Deeming, but was unsuccessful. Deeming was hanged on 23 May 1892, while a crowd of some 10,000 kept watch outside the prison. Before giving up this life I think it is a duty on my part to thank you and, your wardens for the extreme kindness to me while under your care. 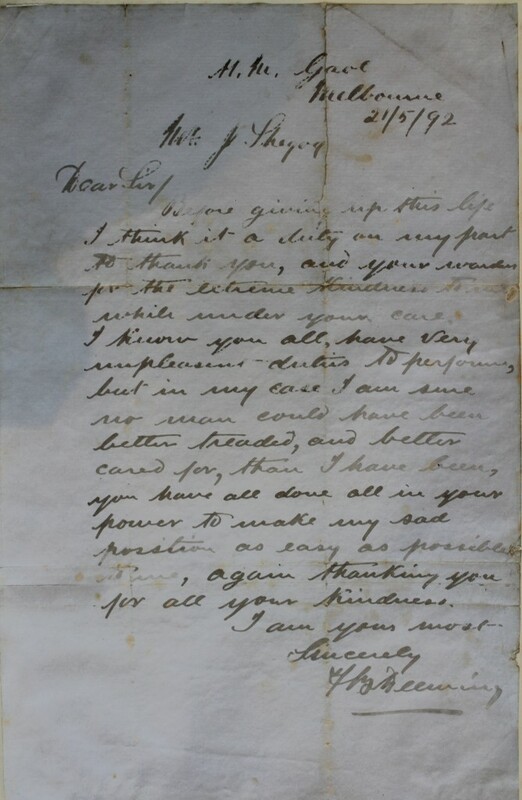 I know you all, have very unpleasant duties to perform, but in my case I am sure no man could have been better treated, and better cared for, than I have been, you have done all in your power to make my sad position as easy as possible to me, again thanking you for all your kindness. 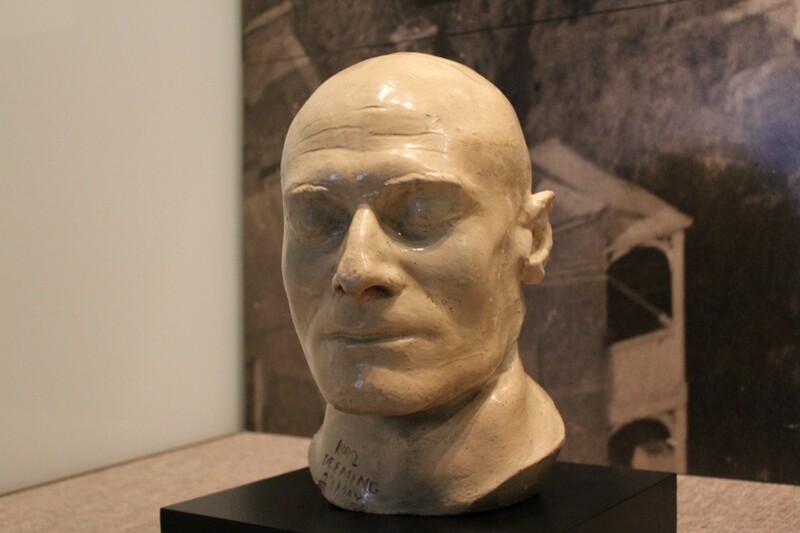 The State Library holds several items relating to Fredrick Deeming including his death mask, a cast of his right hand, photographs, books, newspaper articles and letters.